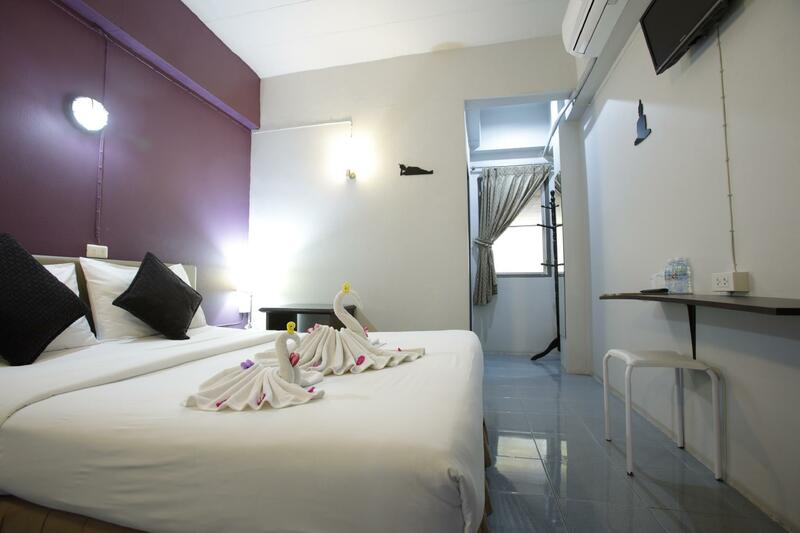 Heeft u een vraag voor Rooms at Krabi Guest House? Rooms at Krabi Guest House, gebouwd in 2005, is een aanwinst voor Krabi en een slimme keuze voor reizigers. Op slechts 0.5 km gelegen vanaf het stadscentrum en 15 km van het vliegveld, trekt dit 3-sterren hotel jaarlijks vele reizigers. Dankzij de praktische locatie liggen alle belangrijke trekpleisters in de buurt van het hotel. De faciliteiten en diensten, geboden door het Rooms at Krabi Guest House, garanderen een plezierig verblijf voor gasten. De topfaciliteiten van het hotel omvatten gratis wi-fi in alle kamers, dagelijkse schoonmaak, wasserette, taxi service, snel in- en uitchecken. De ambiance van het Rooms at Krabi Guest House weerspiegelt zich in de inrichting van de kamers. plasma tv, internet (draadloos), draadloos internet (gratis), rookvrije kamers, airconditioning zijn slechts enkele van de faciliteiten die u ter beschikking staan. Hotelfaciliteiten als tuin bieden alle gelegenheid om te ontspannen na een drukke dag. 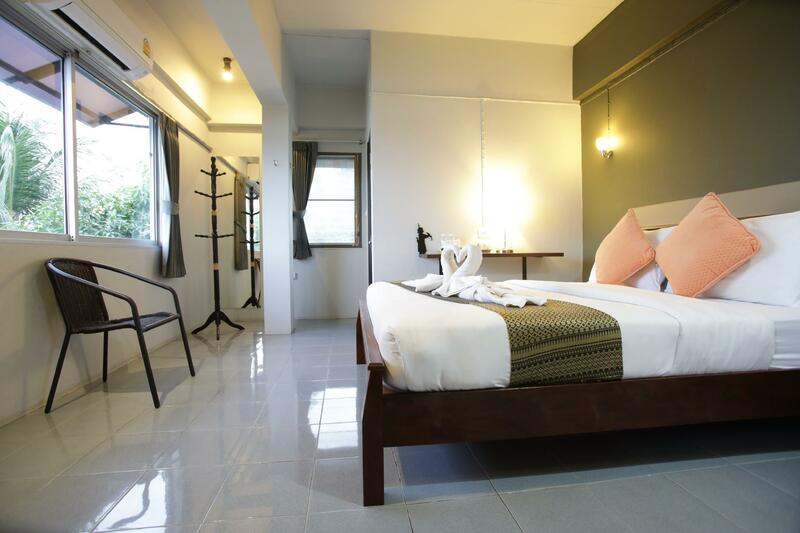 Geniet van ongeëvenaarde dienstverlening en de prestigieuze uitstraling van het Rooms at Krabi Guest House. Kamers zijn niet al te groot. Lakens worden niet iedere dag vervangen. Avondploeg van het personeel is top. Ligging ideaal. Lekker buiten zitten. De dames van het personeel zijn niet echt vrolijk. Bedden verschonen zou ook beter kunnen. Het verblijf was volledig naar wens, we hebben zelfs twee nachten bijgeboekt ! Wij waren aangenaam verrast. Het guesthouse ligt aan de rivier op een steenworp afstand van de pier. Kamers zijn van alle gemakken voorzien. Wij zouden hier zeker terugkomen de volgende keer. The owner Johnny is great and very helpful. Rooms are a bit cramped but clean and functional. Ideal for backpackers or people with little luggage otherwise you are living out of a suitcase. The boats in the middle of the night can be a bit noisy surprisingly but all in all a good stay. Thank you. clean, quiet, nice relaxed bar and terasse upstairs with view to the river; very good price; closed to the pier, city and night market - it is easy to go by foot; the owner speaks fluently english, they offer tours and can give you lots of informations. The location along the river promenade was great, very quiet and easy walking distance to night market and Krabi center. The downside was the room......it was kind of dark (and cramped) even with lights on, low voltage or something, it was kind of hard to read, etc. I think it might be good for the rooms to receive a reno, make them brighter. Also the towels were grey looking, really worn out and should be chucked in the garbage. This place was in a great location a 5 minute walk from the town centre. The room was cool and clean, boiling water was available in the common room to make tea/coffee/noodles. Staff were friendly and provided lots of services - ticket booking, tours, laundry etc. Would stay again. Peaceful stay. A few blocks' walk along the water will get you to the night market and downtown. Quiet area and comfy room. Got a few drinks at the in-house bar. Upon checking out, the hotel arranged for a taxi which arrived literally minutes later. Thanks again! I was here for one night only on my way to Railay beach. Arrived in the evening and departed in the morning, so I can't say much. I enjoyed my stay, pretty, quiet, clean room facing the river, stable wifi, 3-4 minutes walk to the pier, a restaurant around the corner and cute kitties in the garden :) I would stay again! Lovely quiet spot on the river but close to restaurants, airport and pier. The man at reception was very nice and polite. He also upgraded us for free which was nice. The room was clean and comfortable and it's a pretty spot on the river. Spent one night there, pretty nice and new rooms. Staff was very helpful. The Guesthouse is conveniently close to the Pier and has a nice view on the river. Also check out the Seafood Restaurant next door. It was a great experience. 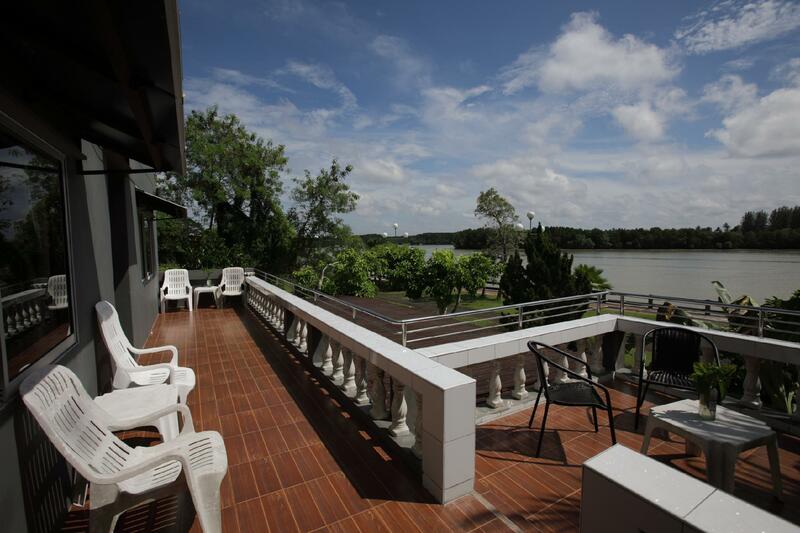 Staff is friendly, location is somewhat quiet, however, the view facing the river is great. The breakfast is surprisingly rather big serving and definitely filling. The hotel is also within walking distance to the night market which is good for some souvenir shopping. Only drawback is that the bathroom did not come with shampoo and hairdryer. If these two are in there, then it'll be a rather perfect stay. 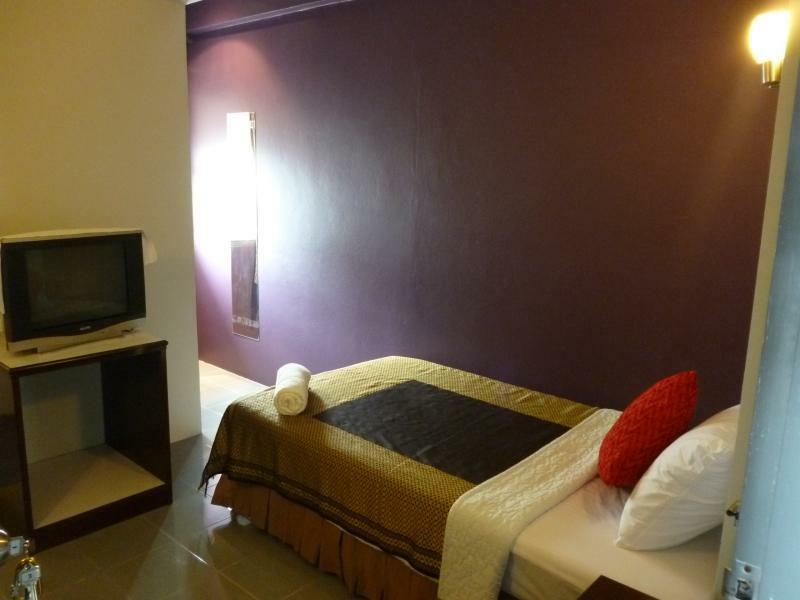 The hotel is in a great location in Krabi..on the river, not too far from the airport bus depot and not far from the evening markets. The room was a bit small and dated, but clean. Being next to the river, the views were excellent and it was nice and quiet at night. I would reccommend this hotel for those on a budget. Nice place, a few minutes away from a small night market. There were few places to eat in the area during the low season (May). The place was clean and the balcony was nice. Helpful staff when it came to booking tours to the islands. We stayed here for one night only before heading over to the Phi Phi Islands. The room was basic but clean, exactly what we'd expected. The little bar downstairs is very cute and I assume the owner (?) mixed us up a lovely cocktail. My only slight criticism is that they could do with providing a safe as most hotels/guest houses we stayed in had these as standard. Nice view if you face the river. Terrible Wifi/Internet service (only worked 30% of the four days). Good espresso and food. Bed was very firm (like a yoga mat on a box-spring). Easy to walk everything. Nice public park area along the river for walking or jogging.